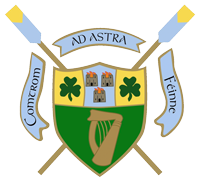 UCD BC and Ad Astra Elite Athlete Paul O’Donovan clinched a bronze in the LM1x final at the Memorial Paolo d’Aloja regatta in Italy on Saturday 12th April. Paul produced a great performance to work his way into the medals, having trailed the field 500m into the race. It was an exceptional turnaround against some very experienced athletes – with the race won by 2012 Olympic Gold medalist Lawrence Sizwe Ndvolu of South Africa. Paul also finished 4th in Sunday’s final, narrowly missing out on another bronze by 0.33 seconds. These are encouraging results for Paul as he continues training for his main goal this season, the LM1x at the U23 World Championships in Varese in July.